We are a 100% Online Mobile Security Systems business with no bureaucracy and overheads. 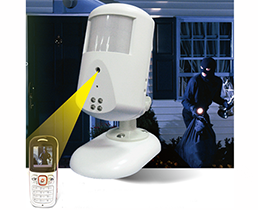 Our company designs and implements Electronic Security Systems that gives you quality products at an affordable price. Why we decided to use Spypoint Trail Cameras ? In recent times we came across requests from our clientele that they were looking for remote solutions that did not involve the cost of a Surveillance System. After much research CCTVAustralia decided to form a relationship with Spypoint who are a North American Canadian manufacturer of advanced Trail Camera Technology and Excel Action Cameras. Spypoint in all honestly are the leading edge specialists when it comes to their products and their latest range of 2016 products confirms that we have made the best choice when it comes to alternative solutions for our customers. Spypoint and their equipment solutions include utilizing trail cameras in remote locations and all outdoor applications that needs some kind of surveillance with long life battery life. Trail cameras although have been around for a while now have been transformed with total solutions that will raise eyebrows for those who are not aware of Spypoint technology and engineering with their latest product range. Some of their latest releases include the complete solar trail camera all in one built Trail Cam that does not need any extra components and can be left outside for as long as needed. Spypoint also have a cloud service for some of their range of Trail Cams where the photos that are taken can be automatically downloaded to their cloud service in case the Trail camera gets damaged or taken. Spypoint also has a APP that you can log in to as view back in time or see the current range of photos saved. The new 2016 range also include their latest 3G, 4G Trail Cams which gives you the capability to use the cloud services as well as the Spypoint APP. The Spypoint Trail Cam Infra Red Led`s are now seeing even further at night and are made to be covert and a not so obvious glow when taking photos at night. The Motion sensors are also more advanced also getting further distance if needed and also depending which trail Camera is chosen can also be split in to 5 different areas. The picture quality of the latest 2016 range has also improved giving you up to 12 megapixel photo capability using the latest image compression chip giving you even more clearer photos. One of their best solutions is the Tiny Wireless series which is made for multiple locations having up to 10 Trail cameras taking photos sending all photos back to the main recorder black box making sure that if the Tiny Wireless Series cams are taken or discovered all photos will be stored in one main location away from the main cameras. All Spypoint Trail Cameras have the opportunity to use Lithium ion Batteries for long life usage being ideal for distant locations that you can not get to as often as needed. Apart from the excellent photo taking from the Spypoint Trail Camera Range all their Trail Cams can also take Video footage upon motion if switched on to do that. Video recording will not send to the cloud due to the size of the Video Files unlike the photos do. Apart from their Trail camera range Spypoint also have a whole list of accessories that can be used for all types of scenarios when utilizing the Trail Cams out in all locations we advise that you check our website at https://www.cctvaustralia.com.au/trail-cameras.html and check out our latest range if you have any questions we will be there to assist. There has been much interest lately in regards to Chinese CCTV products in the Australian market as of late. Due to our declining economy and our dropping exchange rate we are now seeing a Tidal wave of cheap Chinese CCTV products entering the country. For the general Consumer they now believe that the cheapness of Chinese products is well justified when shopping for a CCTV system but I say be extremely cautious as the amount of cheap component`s in these products leaves much to be desired if you think you are getting any sort of Quality. of Taiwanese & Korean quality. For many years the Koreans & Taiwanese have been the masters in Quality when it comes to all forms of CCTV especially in the Digital formats such as IP & HD-SDI but what you are seeing now is that there is more innovation coming out of China as they attempt to play catch up. As a general rule serious projects in the commercial sector will stick to Taiwanese & Korean Quality but due to the budgetary demands from this sector two Chinese companies are now standing out being Hikvision & Dahua. These two companies have broken out of the Mold of China`s extreme Cheapness & Low Quality as their range of products are now being used in all types of projects and are being seen as a relatively good standard. 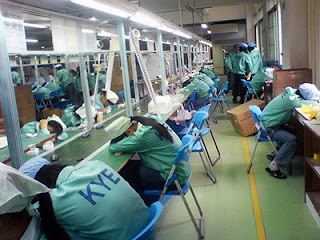 Apart from emerging companies like Hikvision, Dahua & some up and coming innovative Chinese companies it is justified to say that the Chinese mentality in CCTV manufacturing still remains poor as cheapness is their main concern and quality still remains in the back seat. As a general rule when going for Chinese cheapness get ready to expect anything from 3 months 1 year or 2 years for the product to last before major problems will occur. learn in the end that back up support is very much lacking when problems do occur. As a general rule Taiwanese & Korean products are the most reliable as their standards, experience and testing procedures in CCTV technology & manufacturing gives them the edge. As a company I will always try and sell Korean & Taiwanese outlaying the quality of their product but this is getting increasingly harder due to the Chinese price war that is infecting the industry as of late. In the future you will see more Chinese companies with quality & reputation for their products breaking out of the cheapness tag. Recently for those that don't know AHD which is Analog High Definition was invented in China and the roles have reversed for the first time making China a leader in this technology. That being said there is still very many rogue Chinese companies selling faulty product that will say anything and do anything to sell my only advise is if your serious about quality contact CCTVAustralia and we will give you an honest appraisal of what kind of equipment you will get that will suit your budgetary requirements. 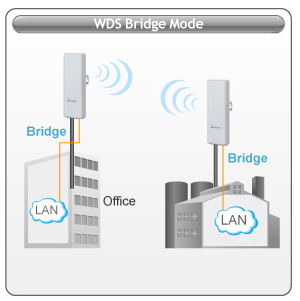 Outdoor Wireless IP infrastructure "when do you use it" ? It is now official CCTVAustralia can now quote & install Commercial Outdoor Wireless camera systems when it comes to IP cameras. After many years of cable battles with certain infrastructure elements CCTVAustralia can now implement a complete Surveillance system with indoor & outdoor cameras using Digital Wireless antenna infrastructure. As a company we have searched & observed this type of technology and have finally found what we are looking for. The main reason for using this method when as a last resort Wireless can transmit the camera footage back to the location of the NVR recorder without the need of cabling. This can save many thousands of dollars on those extremely difficult cable installs. like Caravan parks, Large playgrounds, large open areas to name a few. The objective of the antenna is to make sure that they have a line of sight so that they can see each other as it is important to make sure that the signal being transmitted will have no interference along it`s travelling distance. If trees and building are in the way then this can be a problem so the initial plan is to make the infrastructure avoid these problems. One way of diverting trees and building in between the line of site is to have another access point antenna in a area that can be seen by the front & back end being some what in the middle to transmit the Video footage back to the NVR recorder. This type of technology will only work with IP Cameras which can use megapixel resolution giving you clearer pictures compared to the old analogue systems. The frequency with which we use the wireless is at 2.4Ghz which can be adapted through the software to change to a slightly different band to help stop any interference. If the area has already much wireless infrastructure then no problem we can introduce 5Ghz to eliminate this problem all together. So if you feel that you have no hope of installing a surveillance system and you have already been quoted ridiculous amounts of money by using the traditional method I advise that you give us a call and we will be more than happy to assist with a proposal to help solve your Digital Surveillance problem. 3G Alarm Camera with Self Monitoring "What is IT" ? At CCTVAustralia we have been testing this technology now for over 3 years it has taken this long to finally present our newest Quality model that will last and have total support from our company. After many years of testing similar products and frustration we finally came to the current model the 3GCam Video alarm camera which will protect your premises as well report to you when anything happens. respond if activated by calling you up on the Phone which has to be a Samsung Galaxy Model to receive the full benefits of viewing a Video Call and text detection to your mobile telephone. The Sim card used has to be without any message bank function otherwise the device will not communicate properly. Apart from the Video calling and Text messaging this unit can give you up to 10 Wireless devices attached. The Wireless devices include Key Fob Remotes, PIR Sensors for room detection door and window Reid switch a Keypad and a Siren. The unit will support up to ten of these devices which is very exciting to the fact that you can have a full alarm system without any of the monitoring fees and you can Video call any time to see what is happening at the premises. Another bonus is the Audio capabilty as you can hear and also speak in to your phone to warn off intruders and the 3G Alarm Camera will recieve audio in real time. In conclusion this is by far the best 3G camera i have tested and apart from the functions I have listed there is also more options to control the system via your mobile phone. You can turn on & off your alarm system via your mobile phone through a text message or you can get a remote key fob which is easy to use. The Keypad also gives you the option to have up to 6 users on the panel so in fact this would be ideal for small offices to medium sized buildings and houses yes security technology is evolving and our company is proud to present this product for your convenience. 960H is now the talk in the analogue world of CCTV as the traditional method on coaxial cable installation has just stepped up to a newer affordable level. 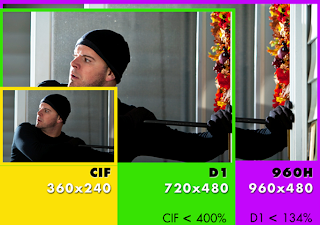 The traditional format being D1 which is 720x570 resolution has been the standard for CCTV for many years with variable compression methods such as MPEG4 & Then H.264. Analogue cameras have also progressed through the years as the line rates have been steadily getting higher ranging from 380TVL to 700TVL and now 800TVL being what is called 960H resolution. A Known fact that I would like to share with you the reader is the D1 DVR Recorder being made with 720x576 resolution will only submit cameras up to 550TVL resolution please be aware that most D1 DVR`s will not be able to go above this resolution and if you see cameras being sold above 550TVLas a pack with a D1 DVR then you will not get the full image clarity you think you are getting. sensors developed by the Sony corporation in 2009. These CCD image sensors are capable of capturing Video resolution of 976x628 resolution therefore cameras with a liner rate from 700-800TVL will be better image quality compared to the old D1 resolution cameras. 960H Camera Technology will only see the full benefits when you use a 960H cameras with your new 960H DVR. Let’s think about this scenario why would you buy the latest cameras and not utilise this technology with the recommended DVR. Let’s face it would you use a small Mini car to tow a huge caravan that pretty well sums it up. More benefits of 960H technology is that being in the next step up in analogue technology it is more affordable to the general public compared to the latest digital technology. You can also keep the existing coaxial cable structure and just swap out the cameras and DVR utilizing 960H which has a much smoother and user friendly recording.It might be wise to also up your Hard Drive storage as the higher the recording resolution the more space it will take. Please also be aware that there is a lot of fake camera manufacturers out there claiming that they make 960H cameras but are in fact only D1 cameras.